Air Canada Vacations is offering agents 5X ACV&ME Bonus points when booking your clients on any Europe package in April. Air Canada Vacations is making it even more profitable for agents to book European holidays for their clients. Until the end of April, Air Canada Vacations continues to promote Europe by offering travel agents – 5X ACV&ME Bonus points when booking your clients on any Europe package. With this wonderful offer, you can redeem for a $50 visa card with only 2 Europe Package bookings for 7nights or $100 with just one Group booking of 10 passengers. Bookings are valid between April 9 and April 30, 2019 for travel between April 9, 2019 and December 21, 2020. For more details, please consult your ACV&ME account. This week’s Europe Flash Sale – Book by April 14 the Air Canada Vacations Best of Greece package. 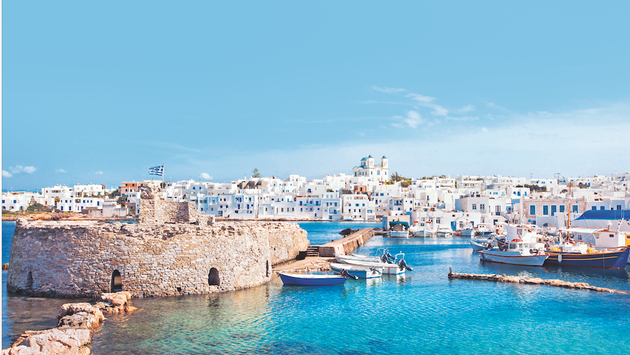 Explore the best of Greece on a 10-day voyage that takes you to Athens, Mykonos and Santorini with rates starting at $ 1,999 per person with taxes and others fees included on October 5, 7 & 13 departure dates for 8 nights. This amazing deal includes flight from Toronto or Ottawa. The offer is also available at varying prices from other gateway cities such as Halifax, Vancouver, Quebec City, and Montreal. Offer is valid for new individual bookings. Other terms and conditions apply. For more details, please visit our website and attached flyers. Air Canada Vacations reminds travel agents of its checked baggage policy with Economy Basis fare – 1st bag is FREE when you book a Europe package with Air Canada Vacations. Add Air Canada Vacations’ travel protection CareFree plan to your reservation and receive 15% commission.